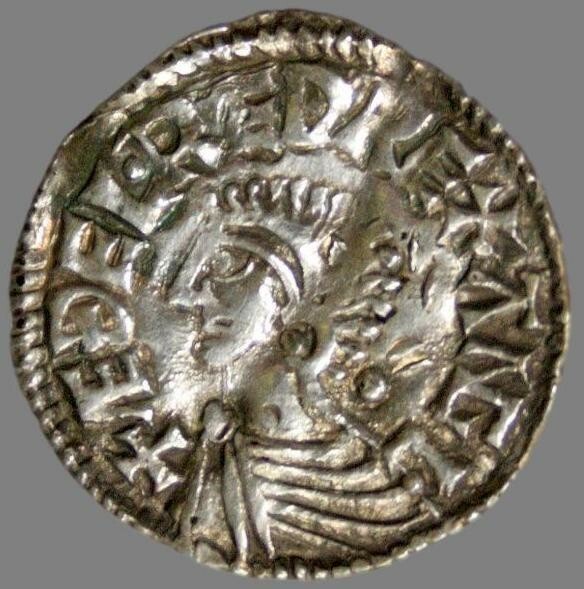 England, CVNETTI-penny dated 895-920 AD, struck under (Norwegian?) Viking invaders at York. Grading: VF (beautiful patina!). Reference: S 993. 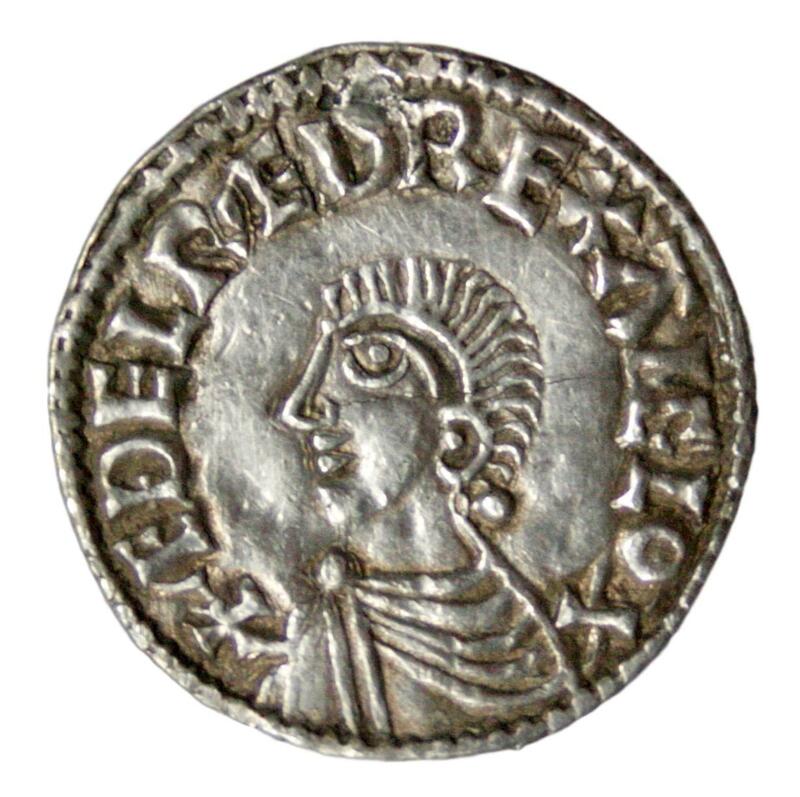 Weight: 1,3 g.
England, CRUX penny dated 991-997 AD, struck under King Aethelred II by moneyer Berhtnad in Winchester. Grading: VF. Reference: Hildebrand (1881) 4112. 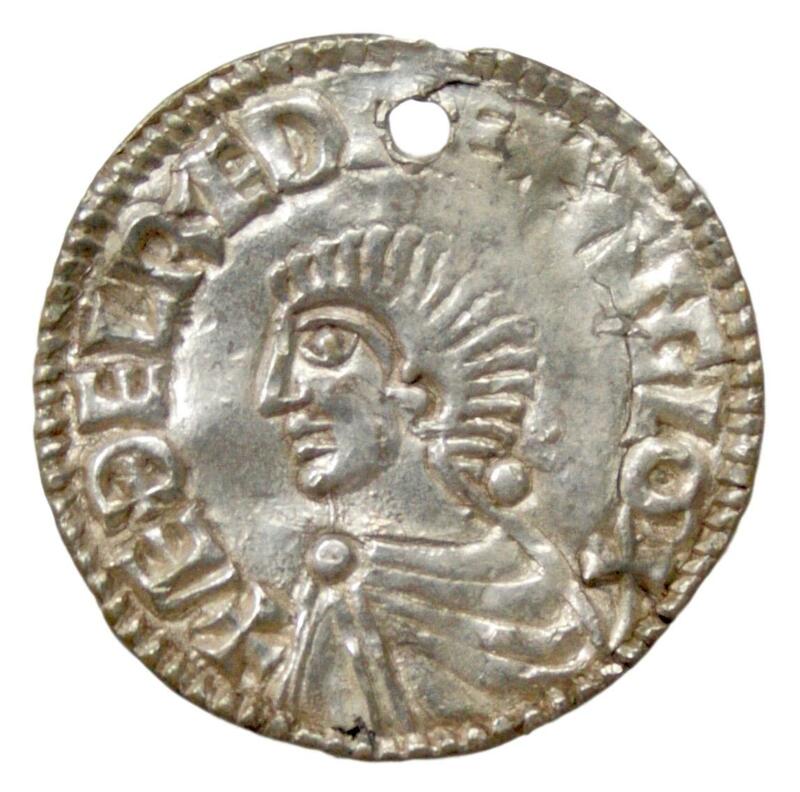 Weight: 1,65 g.
England, Long Cross penny dated 997-1003 AD, struck under Emperor Aethelred II of moneyer Leofric in Canterbury. Grading: VF (perf.). Reference: Hildebrand 208. 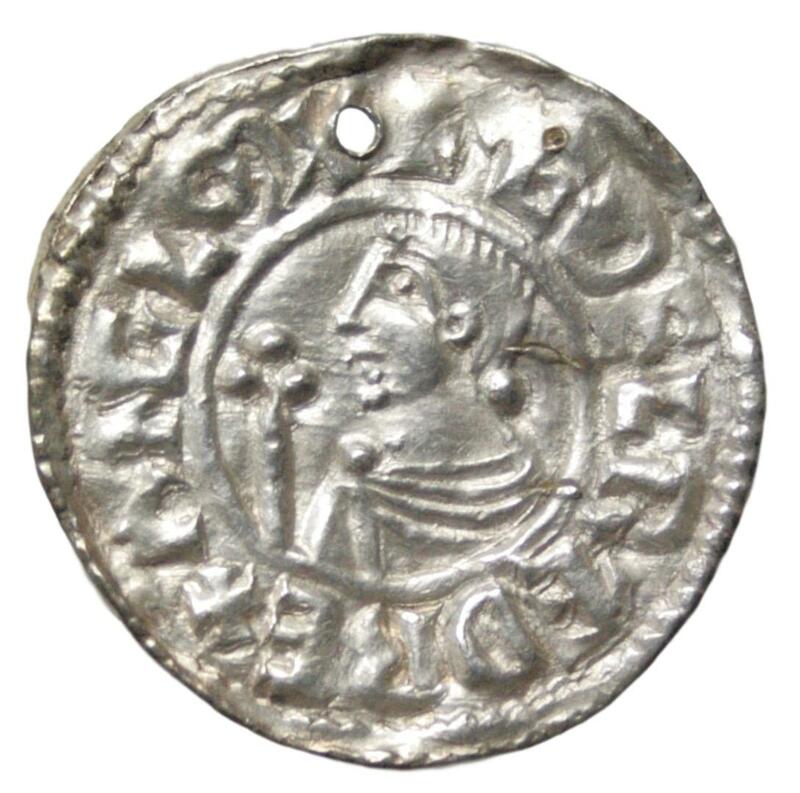 Weight: 1,68 g.
England, Long Cross penny dated 978-1003, struck by moneyer Lufa in Shaftesbury under King Aethelred II. Grading: VF (repaired hole). References: SCBI 7 (Copenhagen), 1084 (same dies), North 774 and SCBC 1151. 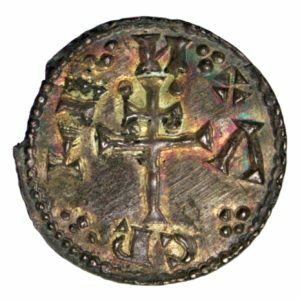 Weight: 1,67 g.
England, Long Cross penny dated 997-1003 AD, struck under King Aethelred II by moneyer Lyfin in London (Lundene). Grading: VF. Reference: Hildebrand (1881) 2924. 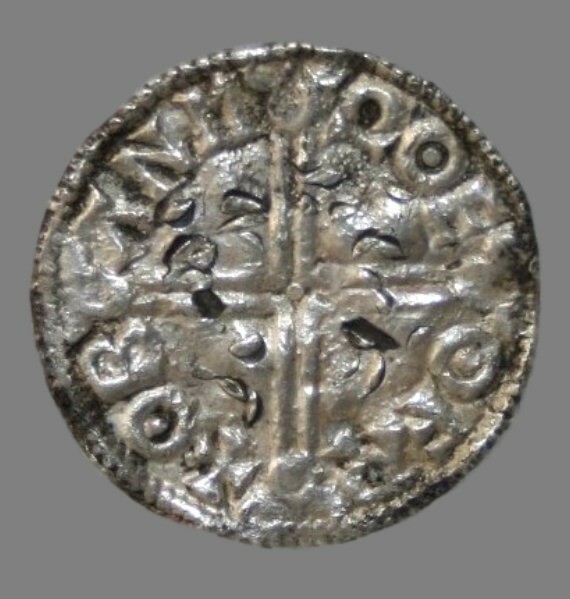 Weight: 1,8 g.
England, long cross penny dated 1014-1016 AD, struck under King Aethelred II by moneyer Oban in York (Eoferwic / “the wild-boar town”). Grading: F (test cut). Reference: Hildebrand (1881) 777. Provenance: BR 1701. Weight: 1,7 g.